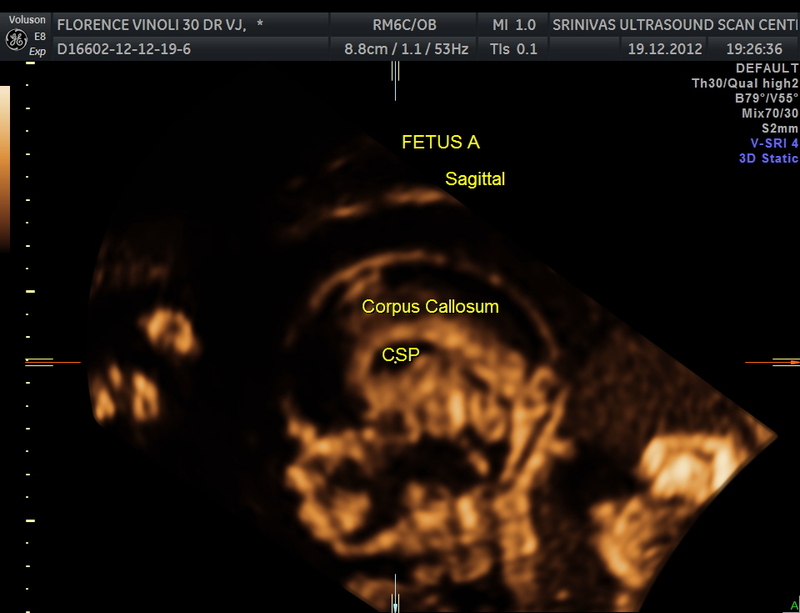 This was a 30 year old lady who came for a scan around 20 weeks of gestation. 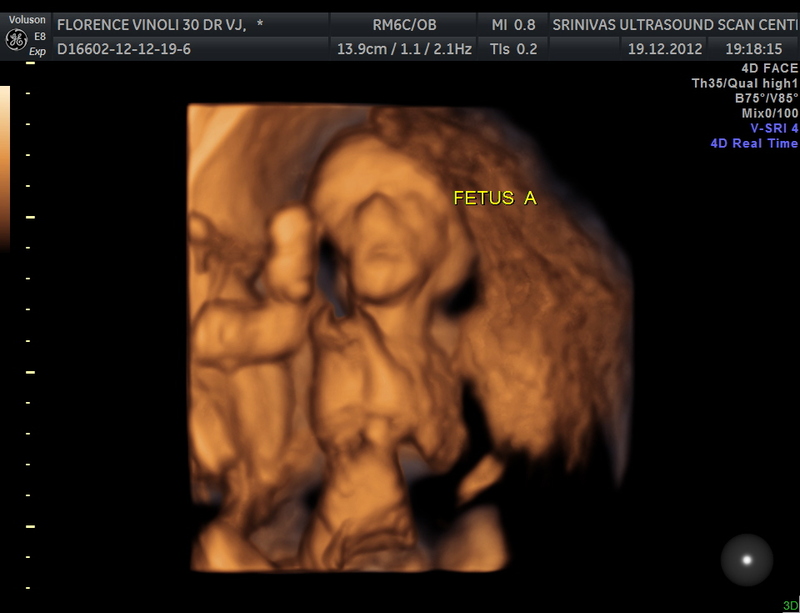 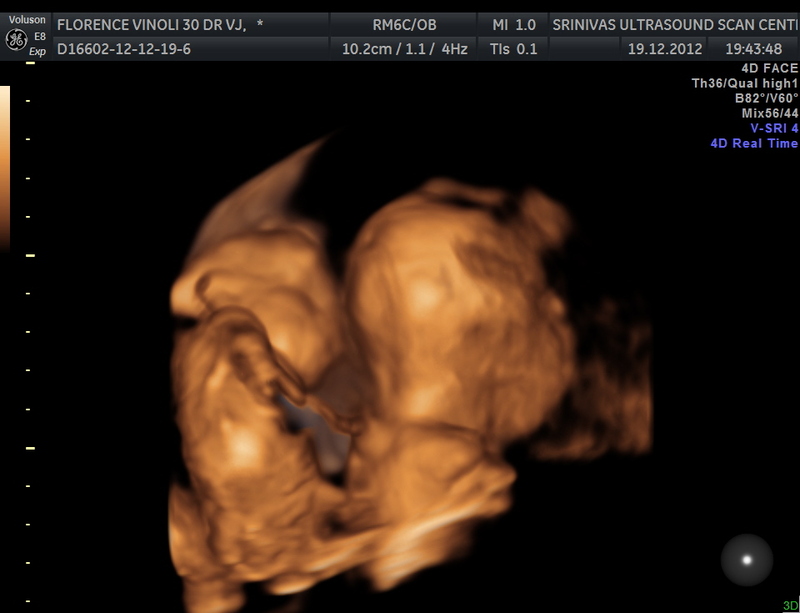 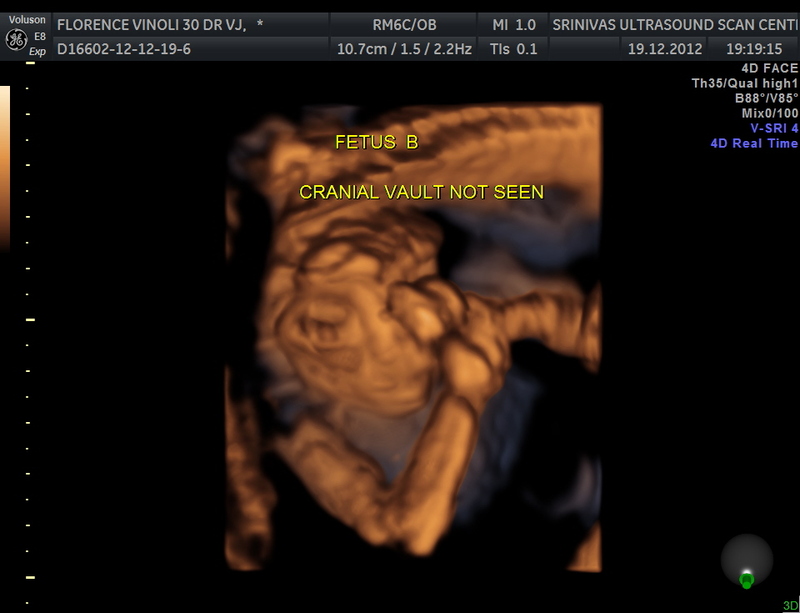 She had already undergone a scan about 4 weeks ago when she was told to have twins. 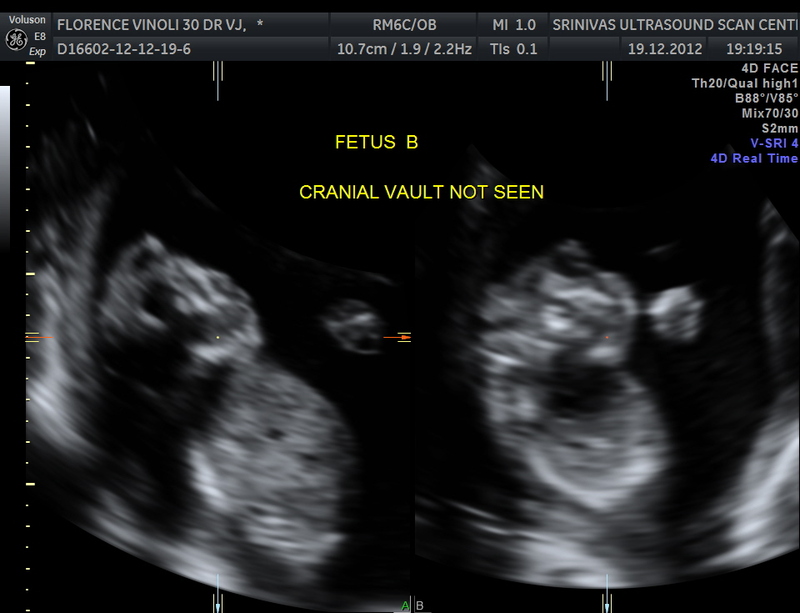 At present the scan showed mono chorionic and di amniotic twin pregnancy .The sac on the left side was filled with turbid amniotic fluid . 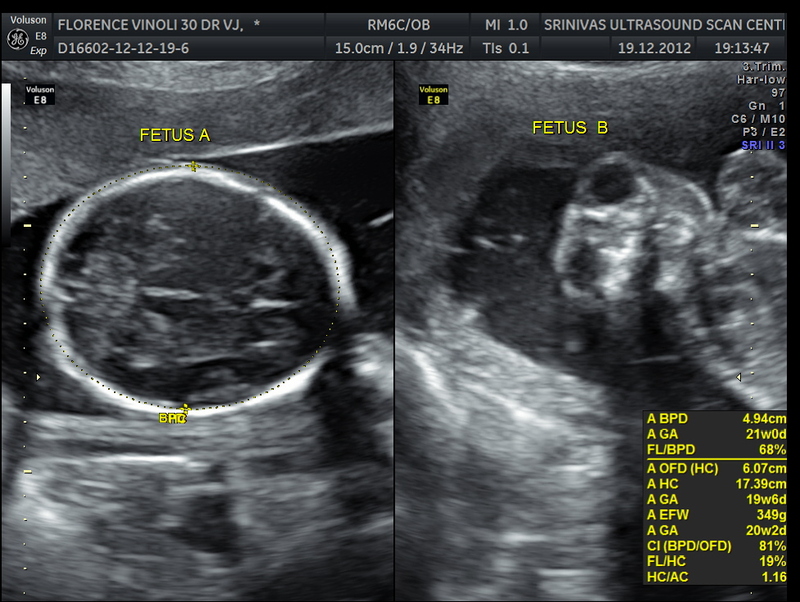 Dichorionic twins discordant for anencephaly are best managed with serial ultrasound examinations for early diagnosis of polyhydramnios, which can then be treated either by amniodrainage or selective feticide. 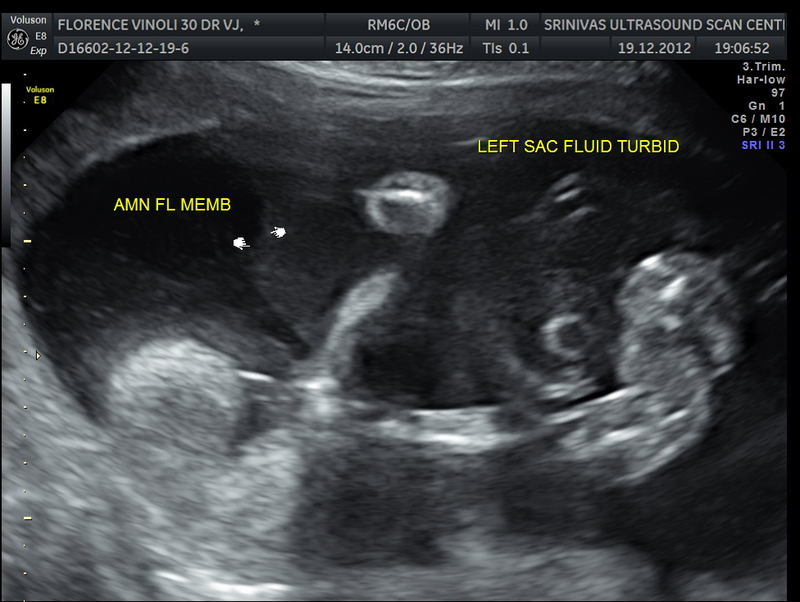 In monochorionic twins it is uncertain whether the best management is expectant or by cord occlusion.and expectant management is probably more favoured. 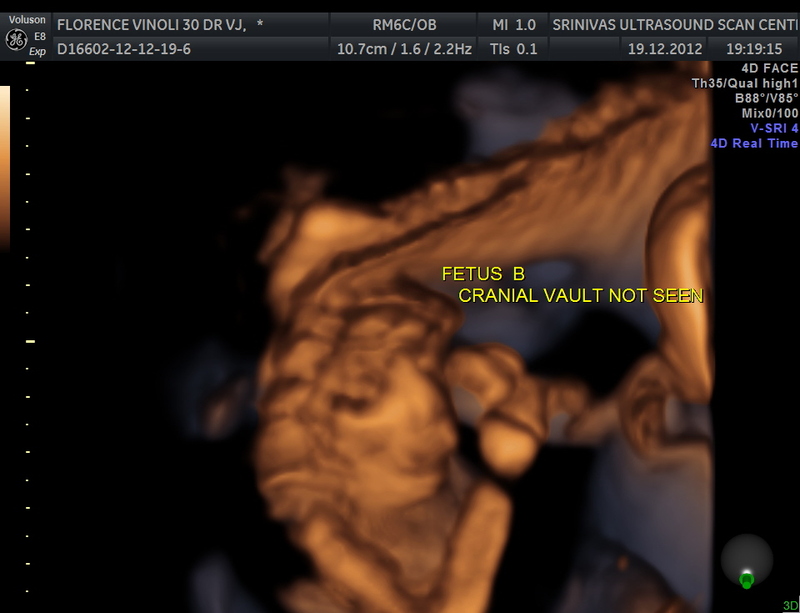 serial US and amniodrainage if needed are to be done.